A mysterious suicide from the upper floor of a hotel in downtown Athens is puzzling the Greek police: the man, a foreign national, had with him a suitcase with four thousand euros. 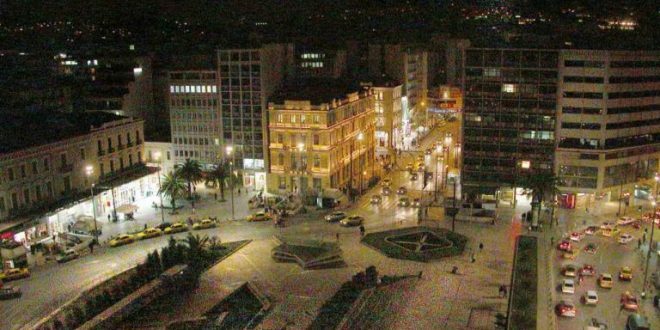 The 42-year-old man walked into a hotel close to Omonoia Square in Athens short before 10 o’ clock on Monday night and booked a room. A few minutes alter, he went to the hotel’s “roof garden” apparently to have a drink. Short after 10 p.m. he jumped from the 5th floor and landed on the pavement. He was still alive when the ambulance arrived but he died a couple of hours later in the hospital despite the doctor’s efforts to keep him alive. Police that rushed to the hotel after the incident identified him as Albanian national. What puzzles the police is that he man had a suitcase with 4,000 euros in cash. Police investigates whether the man met with someone while in the hotel or whether he went directly to the edge of the roof garden. The man’s identity has not be published.